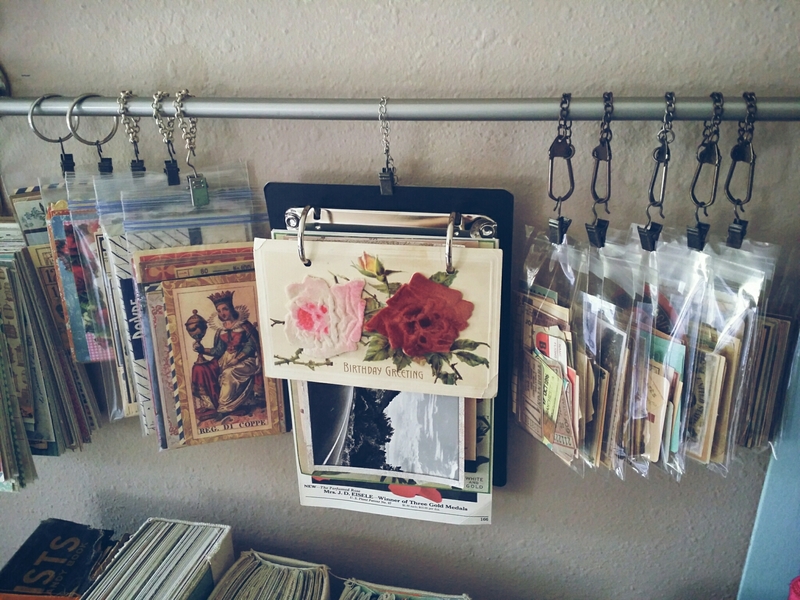 Boxes and bags of small bits of paper, images and ephemera finally organized. 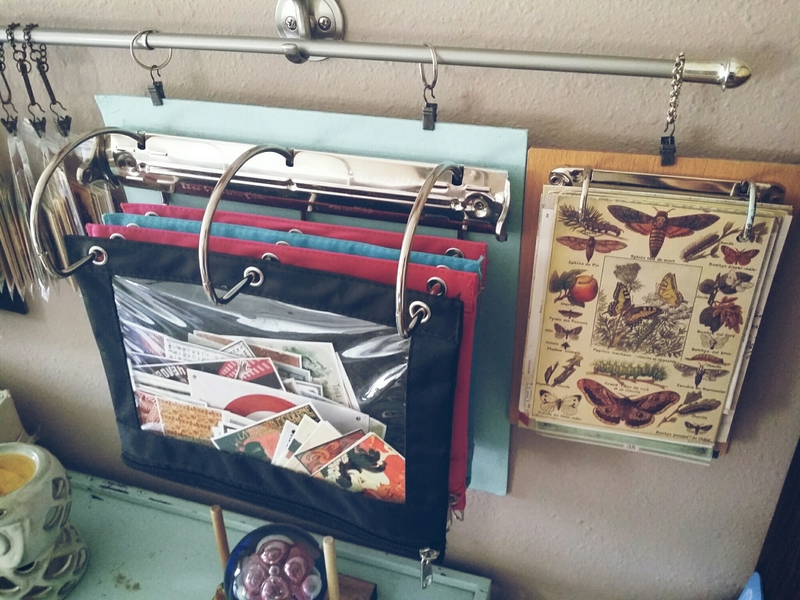 Here is one of three clipboards to organize and display the larger images, book pages and postcards. I sorted through all of my scrap pieces of paper, tossed a ton and trimmed the ones I still love and put them on a metal ring. 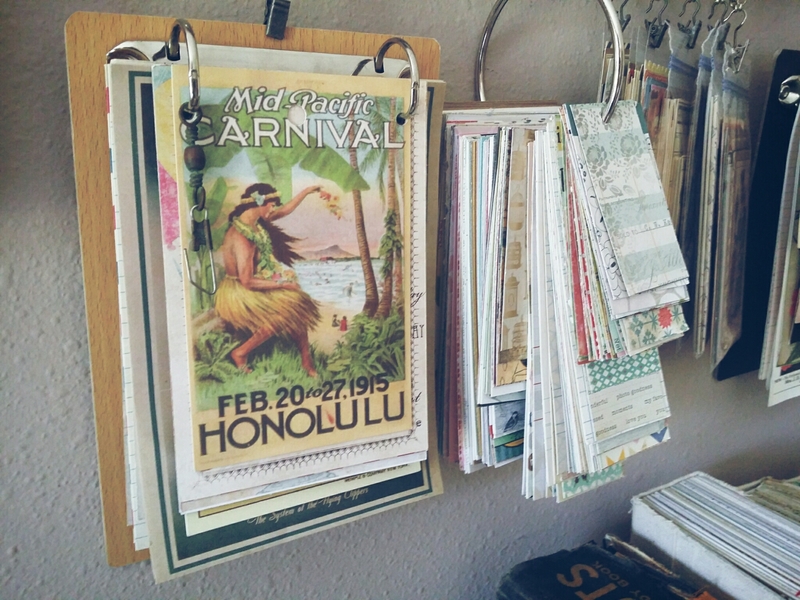 Smaller images, clippings and ephemera. Vintage brochures, leaflets and pamphlets. Pencil cases used to sort magazine clippings, images from collage sheets and journaling cards. 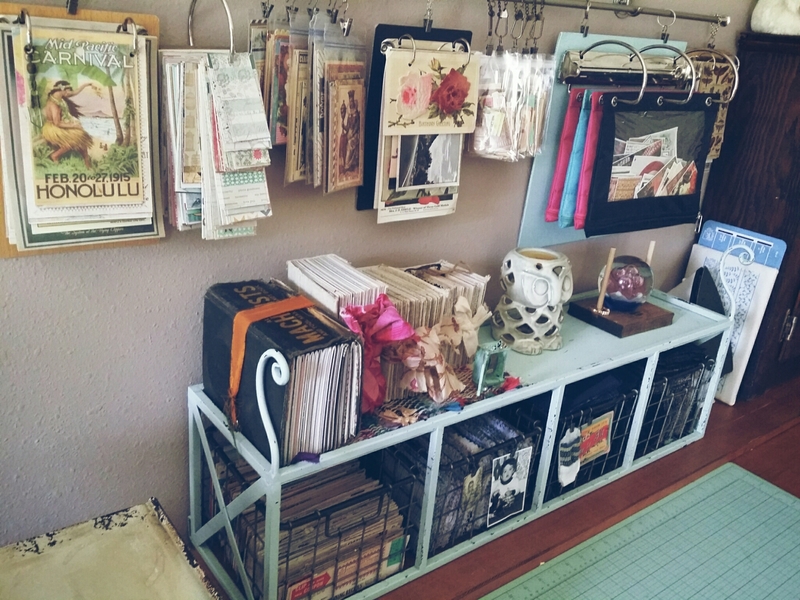 My little art journaling ephemera area. Finally…maybe I’ll be inspired to get a few pages done now. Thank you for stopping by. Peace, xoxo. 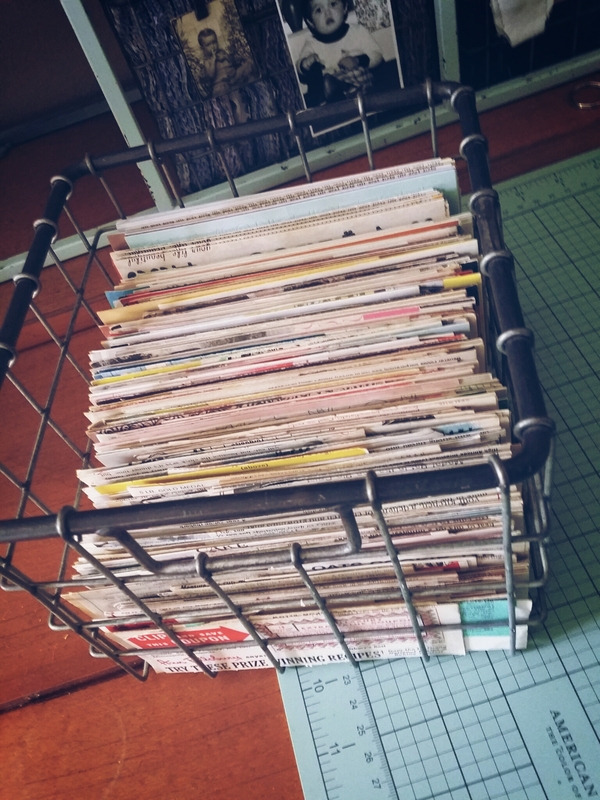 It is SO hard to be inspired if all your ephemera is stashed away in files, folders, notebooks, etc! I love your idea of displaying what you have to keep things close at hand and right in your view so you know what you have to work with. And where it is!!! I find it almost as much fun sorting and arranging my art supplies as I do arting! Your space looks very inspiring… thanks for sharing! This in itself is a work of art!! You have a beautiful and very organized space there! I also like to have everything on display. But instead of your room,mine still looks like a bomb site. What great ideas. Much better than the old shoe box.